One’s sense of kabayanihan is instinctive. Whenever there is a pressing need for him/her to help the community, one always feels that urge to help, whether in small or big ways. What one does with that urge, however, is what draws the line that separates the bayani from the others. 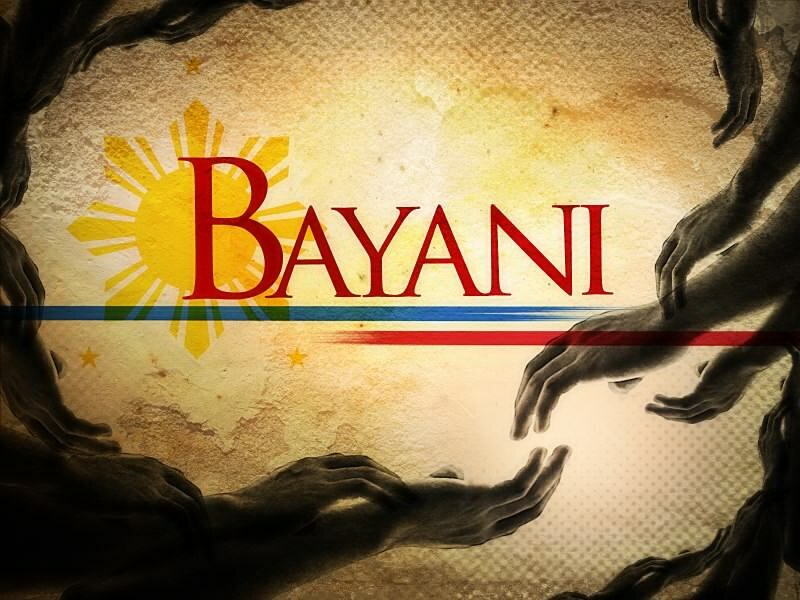 With many things happening in our country today, many may be called bayani. There is no longer one formula of blood shed and death for one to be considered as such. Helping out one’s neighbor during floods or typhoons, working outside the country far from one’s family, leading the country with good governance, fighting for human rights -- they are all forms of kabayanihan. Choosing the right but more difficult thing over something that is easier and more convenient, giving one’s limbs when only one arm is asked are acts of kabayanihan. Sec. Jesse Robredo gave himself to public service, stood by his principles amidst every other politician doing otherwise, offered his whole being to his family, his friends, and his people, always thinking first of others and last of himself. The outpour of emotions of the whole country -- from public officials to ordinary citizens -- is more than enough testament to how Sec. Jesse Robredo lived his life -- for the bayan and thus, becoming a bayani. We are all called to become bayanis and it’s about time we all heed to the call. It is time to live up to the Jesse in all of us, to serve our bayan with sincerity and full of heart. After all, as the saying goes, there are no great things, only small things with great love. Dakila hopes that the line that separates the bayani from the others shall be erased and deemed irrelevant because when that day comes, there will only be bayanis and no one else.